Al-Jazeera sentences 'devastating' Jump to media player Peter Greste, one of three Al-Jazeera journalists sentenced to jail in Egypt at retrail for "spreading false news", says the convictions are "truly devastating". Egypt verdict 'a dangerous message' Jump to media player The conviction of three al-Jazeera journalists by an Egyptian court "sends a dangerous message", lawyer Amal Clooney says. Al-Jazeera journalists sentenced to jail Jump to media player Three journalists from Al-Jazeera's English language television channel are sentenced to three years in prison following a retrial. Fight for freedom of speech in Egypt Jump to media player The retrial of two Al-Jazeera journalists in Cairo has been adjourned until 19 March after key witnesses failed to show up. Baher Mohamed on 'horrible' prisons Jump to media player One of the three Al Jazeera journalists who were imprisoned in Egypt has spoken about his continuing fight for a free press in his country. 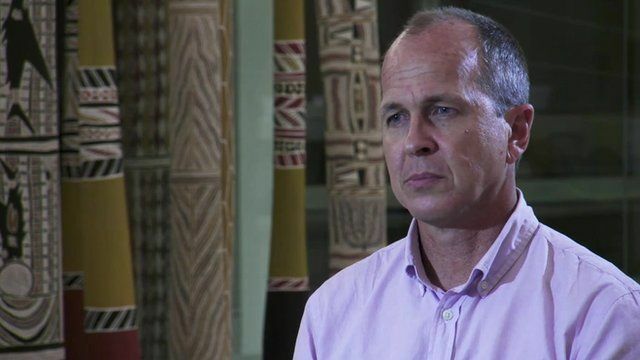 Greste: 'Meditation and study helped' Jump to media player Peter Greste speaks to the BBC about his experience in prison. Al Jazeera journalist welcomed home Jump to media player Footage has emerged showing Baher Mohamed arriving home to be reunited with his family, as Sally Nabil reports. Peter Greste, one of the three Al-Jazeera journalists sentenced to jail in Egypt at retrail for "spreading false news", said the convictions were "truly devastating". Mr Greste has been deported back to Australia so was tried in absentia, but Canadian-Egyptian Mohamed Fahmy and Egyptian Baher Mohamed are being held in Egypt. All three denied the charges. Mr Greste described the decision as "wrong on so many levels", which made him "sick to his stomach".